New, tactical submarine combat game in development, Silent Thunder. In clashes between three of the major military powers of the 21st century, players will face off against each other in combat on the world’s most powerful nuclear submarines. To get a first glimpse of the unique thrill of a three-dimensional, underwater battlefield, realistic submarine physics and the destructive power of atomic weapons, players are invited to join the game’s open test this weekend. 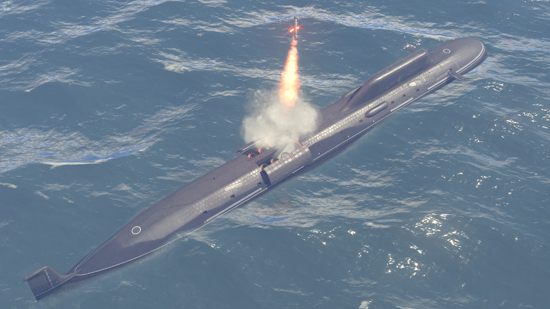 In the test version of the game, players will be able to try modern nuclear submarines of the three major military powers United States, Great Britain and Russia, and each vessel is armed with a unique selection of torpedoes and missiles. Among the powerful armament of the Russian Yasen-class, for example, are the destructive 3M-14K ‘Kalibr’ anti-ship and land-attack cruise missiles, popularized due to their presence in recent conflicts. The British Vanguard-class excels in its guided anti-submarine torpedo armament, which may be limited to 4 in total, but at a weight of 2 tons each boasts unparallelled anti-submarine power. The American Virginia-class may have less potent torpedoes on offer, but more than makes up for it with nuclear warheads, each with a yield of 200 kilotons, fitted on dozens of the famous Tomahawk missiles. Silent Thunder aims for a completely new vehicular combat experience. Well down below in the darkest depths of the world’s oceans, players will have to navigate and detect enemies using sonar and other detection devices, while trying to stay hidden from the ever watchful eyes of their enemies. The slightest noise can reveal their own location - so players need to be careful when activating their active sonar, firing a torpedo, even scraping their outer hull against a rock or iceberg can give the game away. This is a game for true naval tacticians! The main weapon used in submarine-to-submarine combat are lethal wire-guided torpedoes, underwater predators that can be controlled by the player from launch until the very moment of impact. But as players chase enemy submarines with their torpedoes, they should not forget that launching a torpedo can reveal the own submarine’s position, making it vulnerable to being attacked. Captains will have to keep their cool and simultaneously follow their instruments to spot any potential harm coming their way. Recognizing an incoming threat is vital for survival, as it may just give enough time to dodge, hide behind a rock or an iceberg, or knock it off-course with anti-torpedo traps. 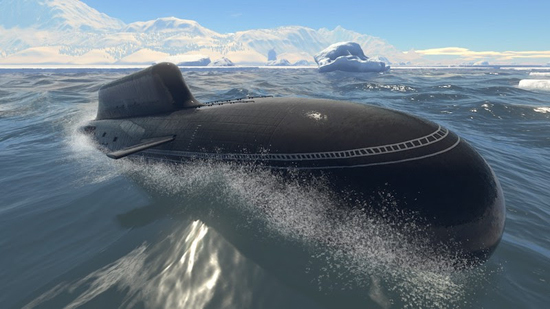 Break the silence of the deep Arctic Ocean with the thunder of exploding torpedoes and nuclear reactors in the new tactical submarine game Silent Thunder, available in open testing this weekend.